This beautiful Nexera nightstand upgrades your bedroom with top-notch style and elegance. With a beautiful contemporary look, this piece is sure to make your home even more stylish. This nightstand is the best place for storing books, holding a bedside lamp, or placing an alarm clock. Nexera Alibi 23.625-inch x 17.25-inch x 18-inch 1-Drawer Nightstand in Walnut This beautiful Nexera nightstand upgrades your bedroom with top-notch style and elegance. With a beautiful contemporary look, this piece is sure to make your home even more stylish. 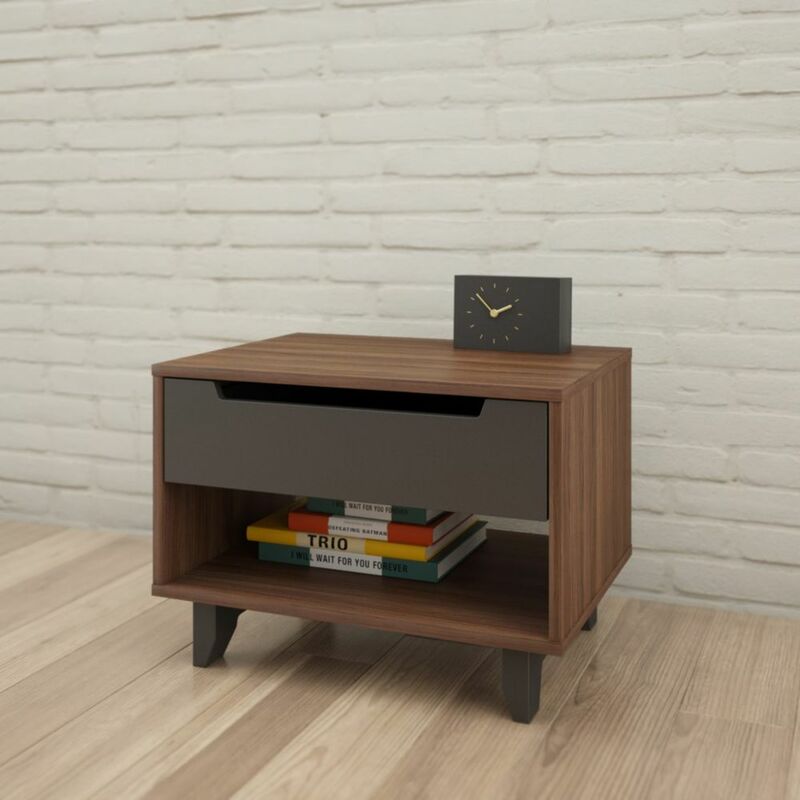 This nightstand is the best place for storing books, holding a bedside lamp, or placing an alarm clock.